While Facebook isn’t nearly as hashtag-driven as, say, Instagram or Twitter and there may be a bias against using tags on this platform, there still may be a case for a well-placed hashtag or two in your overall content strategy. This is especially true in light of the major changes Facebook recently rolled out to its feed algorithms that have made it increasingly hard for businesses to reach fans organically. In this blog post, we’ll cover the pros and cons of using hashtags on Facebook and the things your business or brand should consider before doing so. 1. Pros of Using Hashtags on Facebook Further Your Brand Identity – Many companies have taken to using a consistent hashtag across all of their marketing channels, including on television ads, on all social platforms, and in print marketing, to further their brand identity. These hashtags are almost always used as a slogan or tagline for an encompassing marketing campaign that spans all channels, including Facebook. Take Pepsi’s recent #PepsiisMoreThanOK campaign. 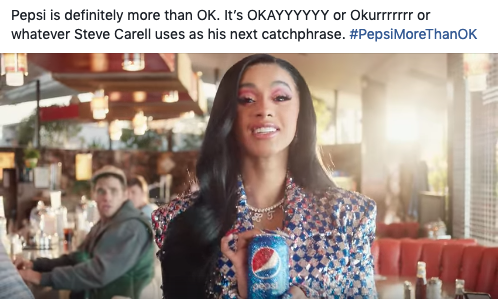 This tag is used everywhere to support their current marketing message and further the idea that, just as the tag states, Pepsi is more than okay. The use of this hashtag in this manner is a great way to communicate their message and drive home the voice and brand identity of Pepsi. Many other brands have taken to using one great hashtag across all platforms, including in their Facebook posting. And by using one or two consistent hashtags across all marketing channels, you will begin to create a brand identity that will help your fans remember and support your work. 3. Boost Organic Reach – Like it or not, in this day and age, businesses live and die by the number of fans they can reach and connect with. Hashtags on Facebook still play an important role in how many people see your content and ultimately how many people you can reach, without paying for that real estate. Hashtags on Facebook are still a searchable link, meaning anyone who clicks on them will be taken to a list of all the posts, pictures, and videos that use that tag (depending on privacy settings). Even if only a handful of people use this feature on Facebook, it’s still worth having your content appear where they are looking. Furthermore, with the recent changes to the Facebook algorithm for businesses, your ability to organically reach fans is getting harder, and doing everything you can do to meet new customers is key – including using a well-placed hashtag or two. 1. Limit the Number of Hashtags You Use – There is growing research that points to the fact that using one to two hashtags per Facebook post is much more powerful, and your fans are more likely to engage with the content than with posts that include more. If you’re going to include a hashtag, use them sparingly and choose wisely! 2. Remember Your Brand’s Voice – We talk a lot about this, but it’s true. When choosing which hashtag to use in a Facebook post, consider your brand’s voice and make sure the tag is on target. 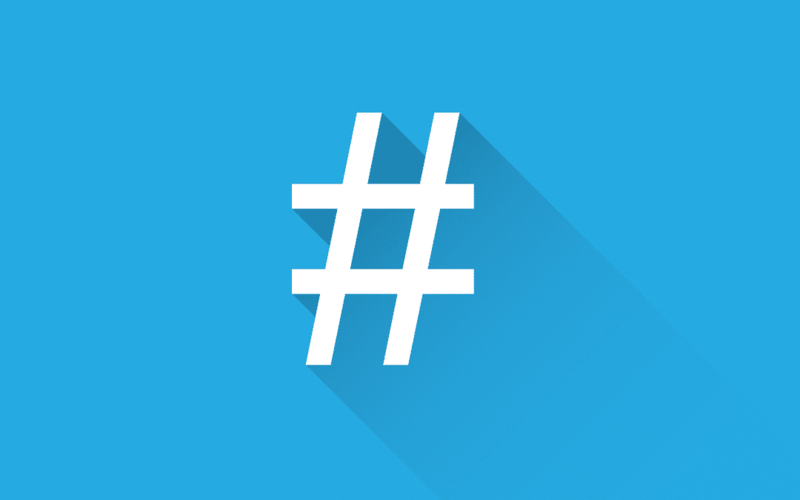 A well-placed hashtag is a great way to communicate your brand and further your voice. Make sure your hashtags are also on-brand. 3. Be Consistent but Also Creative – The best and most used hashtags are those that are creative, somewhat short, memorable, maybe a bit funny, AND consistently used. If you want your fans and followers to pick up on your tags and help you amplify them, use a tag that is easy to remember and fun to use. Include the tag you pick in all marketing channels, including Facebook, to build awareness for it and help others jump on the train. Just like Pepsi, use your hashtag in nearly all posts, across all platforms, to get your fans on board. Does your business or brand need help coming up with an on-brand tag, or could you use a little guidance in sorting out when and where to use hashtags? We’re here to help! Aspen Grove Marketing is a Northern Colorado marketing agency specializing in social media marketing for small to mid-sized businesses, and we’re here to help you create a successful digital marketing strategy, including hashtags. Please contact us with any questions or to learn more about the power of hashtags in your social media posting.